In the wake of SHADOWLAND, Hell’s Kitchen has a new protector: the Black Panther! He has no kingdom, no Vibranium and no high-tech safety net — just bloody knuckles and the will to prove himself in a foreign land. 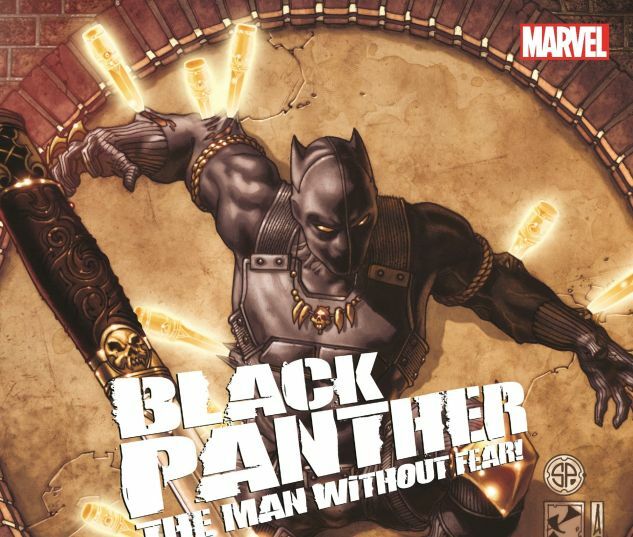 T’Challa will create a new life, a new identity and become a new kind of hero. But with Daredevil gone, the bad guys are coming out to play, and a deadly nemesis — Vlad the Impaler — plots his bloody rise to power. Soon, the new Man Without Fear will face FEAR ITSELF! 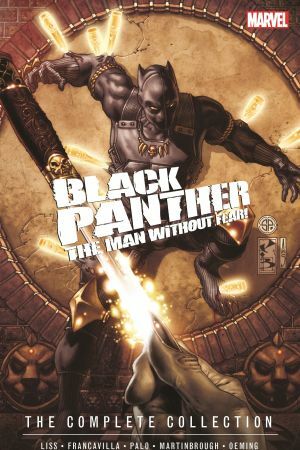 And when a killer starts targeting people T’Challa has saved, the Panther must go on the prowl to show exactly why he is the most dangerous man alive! 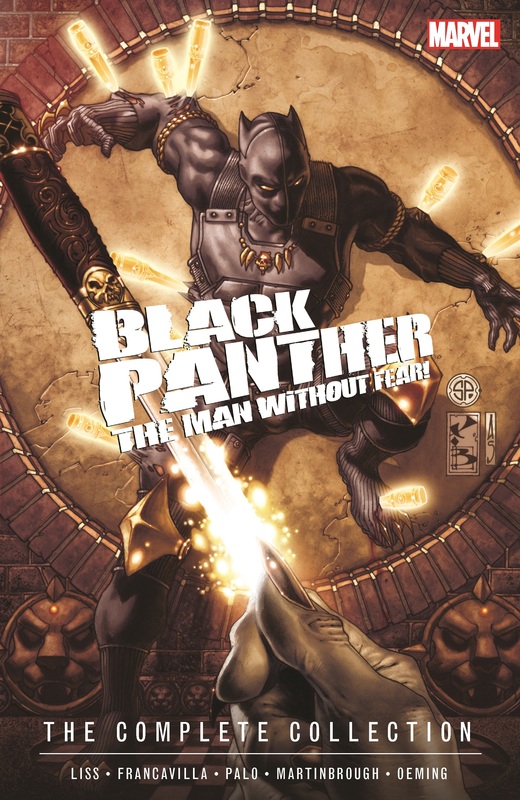 Collecting BLACK PANTHER: THE MAN WITHOUT FEAR #513-523 and BLACK PANTHER: THE MOST DANGEROUS MAN ALIVE #523.1 and #524-529.